The funeral of Councillor Pat Kavanagh took place on Saturday, Pat died on Wednesday following a short illness. This is the eulogy which was read by her sister Mary at Pat’s funeral mass. Most people who knew Pat know that she was a kind, caring and compassionate person. She was a tireless campaigner for social justice, a voice for the voiceless, an animal welfare activist, and a hardworking Councillor who did so much to improve her local community here in Wicklow. But to those who knew her best – her family and friends – she was just Pat, a beloved daughter, sister, wife, mother, aunt, great-aunt and great friend. Pat was the youngest of 5 children – a happy child who was always smiling. When she was 10 our Father passed away and this affected her profoundly as they were very close. When Pat left school she trained as a childcare worker and her first job was with St Mary’s School for the Blind in Merrion where she was popular with children and staff alike. After some time working in Dublin, Pat wanted to move closer to home to be near her family and the love of her life and future husband, Fran, so she began working in St Kyran’s residential child care facility in Rathdrum. Eventually Pat decided to set up her own business – the Cave (Creative Arts Venture) – a pre-school and after-school facility. Pat’s love of children is legendary. She knew what made them tick and they really responded to her. When she and Fran were blessed with children of their own – their daughter Derval and son Conor – I think it’s fair to say that Pat’s life was complete. But she didn’t stop there. Over the years she fostered numerous children on a short-term and long-term basis, she and Fran took children from Chernobyl for a month every Summer for a number of years, and they also offered a home to a young teenager with a learning disability who lived with them for 3 or 4 years. All these children flourished under her care and right up to the time she died she remained in contact with many of them. She used to say that she didn’t just have 2 children, she had dozens of them. To be able to say that you made a difference to even one person’s life is something to be proud of – to have made a difference to so many lives is a wonderful achievement. Pat was great fun to be with and she loved her family more than anything. She loved holidays and liked nothing better than to head off in her little caravan with any combination of people on board. Fran, Derval & Conor; Mum, Myles, and her nieces Evie & Claire, and her Great-Nieces Holly & Izzy. She even persuaded Joe, Eilish and I to accompany her on occasion. She had a fantastic sense of humour and was a great practical joker – although she hated being caught out when the joke was on her! She loved music, poetry, the natural world and, of course, her beloved dogs. She had a talent for art and cooking, and a great curiosity about spirituality, cosmology and Celtic mythology and it was these interests that motivated her to open her little shop, “Wings”, an angel & crystal shop. Pat was a human dynamo – a creative powerhouse of plans and ideas and she packed more into her short life than most people could achieve in many lifetimes. She was elected to the last ever Wicklow Town Council and the first Wicklow Municipal District Council – and we were so proud of her. She ran in the last General Election and she helped found a new political party, Fís Nua, before becoming an Independent. She was instrumental in bringing to fruition many local projects such as the restoration of Wicklow Parochial Hall which is now a Community Centre, Wicklow Men’s Shed, Wicklow Skatepark and Playground, Chance Animal Rescue, Wicklow Christmas Together, the Love Wicklow project, Friends of the Murrough and Wicklow Film Club. 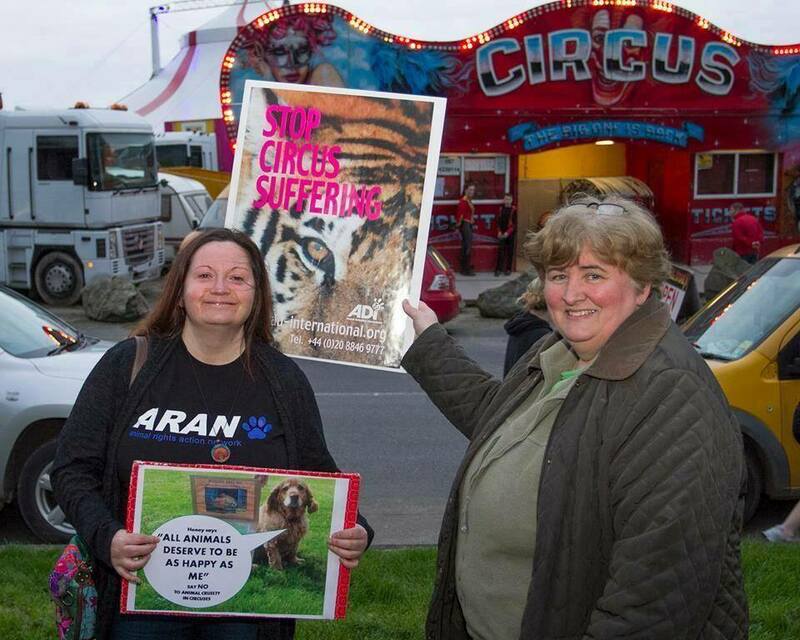 She also did tireless work on behalf of animal welfare organisations such as Charlie’s Equine Rescue, Little Hill Animal Rescue, Animal Rights Action Network, Ban Blood Sports, The Banning of Circus Animals and other groups far too numerous to mention. Pat would be the first to acknowledge that these projects only became a reality because of the hard work and dedication of committee members and volunteers. Pat was the kind of person who never saw obstacles – just opportunities that required a little lateral thinking. We will never know how much more she could have achieved if her life hadn’t been cut short so tragically and just as she was beginning to make strides in so many areas. All we can do is hope that everything she strove for and everything she achieved will continue to grow and flourish into the future. From the moment that the news of Pat’s death was announced we have been overwhelmed by the outpouring of grief and shock from the people of Wicklow, and further afield. There have been so many tributes to her on radio, social media, phone calls, private messages and texts. Some people have described Pat as the “Champion of the Underdog” while others have asked “who will be our voice now?” It’s a hard question to answer – people like Pat are very rare. The only thing I can offer by way of a response is this: Pat believed that even one voice could made a difference. One of her favourite sayings was a quotation from Gandhi: “Be the change that you want to see in the world”, the short version is “Be the change”. She truly believed that all it takes to effect change is a willingness to speak out and be heard. Whether she stood alone or with a group she always had the courage to speak out on the issues that she cared about. She would say to us today “Be the change – you have it within yourself – you’re more powerful than you think”. To lose our Mum earlier in the year was very tough but to lose both Mum and Pat in the same year is devastating. We know that they are together now, keeping watch over us. We may not be able to speak to them in person but we will look for them in little things, like rainbows, robins and doves. Pat was one of the most courageous people we have ever known, but the bravest battle she fought was with the illness that took her life. We would like to thank the wonderful nursing staff and medical teams in St Vincent’s Hospital for everything they did for Pat during her illness. We’d like to thank Fr Donal for the lovely ceremony today. Thanks to Brid and Una Pedreschi for the wonderful singing and music. Our thanks also to Niall, Frank and Serena from McCreas Funeral Directors and a special thanks to Claire Kinsella for the beautiful floral arrangement that she made especially with Pat in mind – Pat would have loved it. We have been overwhelmed by the kindness and support offered to our family during these darkest of days. We would like to thank everyone for the beautiful and moving tributes that have been paid to Pat including some poems written specially for her. Also to Cormac for his musical tribute this morning in McCreas. Of all Pat’s achievements, perhaps the most poignant is the Wicklow Christmas Together initiative. It began when Pat spotted a letter in a paper from a old man who asked, quite simply, if someone would spend Christmas with him as he was tired celebrating Christmas alone. A wonderful committee of people came on board with Pat last Christmas for the inaugural Christmas Together and it was such a success that it’s going to become an annual event. Someone said recently that the Christmas Together initiative should be rolled out in every town and village in the country and that indeed would be a fitting tribute to Pat’s legacy. At the time that Pat passed away she was busy working with a committee on another little project – a Memory Garden for bereaved parents. A special place where parents could go to remember their children who had passed away. And yet is most inhuman of them all. Rest in peace Pat – you were loved more than words can say.